. The new record, titled Twenty-Five, will be released April 1st and is a 29-song, 2-CD set featuring several new songs (including duets with superstars Paul McCartney and Mary J. Blige. More Info about the tickets in the comment. George Michael’s official fan club site, GeorgeMichael.com, is offering ticket pre-sales and four exclusive VIP packages for the "25 LIVE" tour, George's first North American tour in 17 years. George Michael fans can get first access to exclusive ticket pre-sales for the 25 LIVE tour by joining the official online fan club on GeorgeMichael.com. In addition, Club members will receive full access to GeorgeMichael.com content, access to members-only contests for chances to win exclusive autographed memorabilia, and the latest official news on George Michael. The North American leg of the 25 LIVE tour will kick off in San Diego on June 17th and will continue through San Jose, Las Vegas, Los Angeles, Seattle, Vancouver, Minneapolis, Chicago, Dallas, Houston, New York and several other major cities. The tour will incorporate 22 shows over the course of seven weeks and Michael will perform material taken from the entire span of his career, including some classic Wham! tracks. Tickets to the 25 LIVE tour will go on sale to the general public the weekend of April 6th. Fans also have access to VIP packages available on GeorgeMichael.com. Includes hotel accommodations for two nights, transportation to and from the concert, a premium ticket located in rows 2 & 3 on the center floor, access to the welcome reception and pre/post-show party, exclusive merchandise gift item, and an official George Michael USB media wristband. Includes premium ticket located within rows 4-7 on the center floor or rows 2-5 on the side floor, access to the pre-show onsite dinner reception, access to VIP entrances (where available), exclusive merchandise gift item, and an official George Michael USB media wristband. Includes premium ticket within rows 8-12 on the center floor or rows 6-12 on the side floor, exclusive merchandise gift item, and an official George Michael USB media wristband. Includes premium PL2 ticket, exclusive merchandise gift item, and an official George Michael USB media wristband. 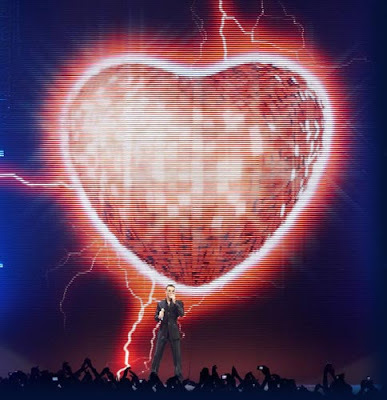 GeorgeMichael.com also includes all the latest tour information, so keep checking back for announcements and other tour news.